This weekend I went to a con. MileHi Con in Denver. This was a smaller con. Probably less than a thousand or so attendees. Compared to several of the smaller cons I have attended this was pretty good. I will say the organization was stellar. I had some issues but all in all it was really good. My issues were petty but they were there. The big one was that on the schedule there were listed several scenarios for D&D 5e. I tried to attend 3 of them and not once was there a DM to be found. The last scenario I tried on Sunday, I found someone with the handbook and we hung out for like 45 minutes. Many people came by to join in and yet no DM. I worked on my character, still it kind of sucked. There were six of us and there was nothing to play. BUMMER. While we all waited to see if the DM was just late we chatted about us all trying to play throughout the weekend only to find no DM. My other issue was scheduling. The vendor hall was meeh...nothing great nothing bad. They even had someone selling jelly. I went to watch the critter crunch or the robot battles. Lots of fun. The Art auction was great. 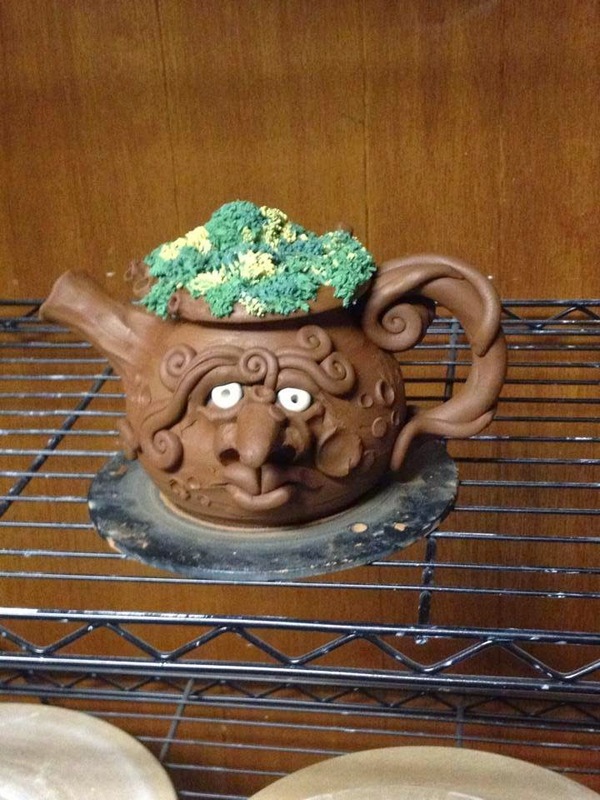 If you have never seen the pottery art of Peri Charlifu, I think you should check out his facebook page. His talent is amazing! The Con Suite was awesome. I went several times. There were always friendly people there. Tons of food and soda. The organizers did a spectacular job putting this together. I have some concerns for this con. First, The hotel they were in this year was small and will not allow for much growth. This is an easy fix when they grow, move. Second, I think the average age of attends was >45 years old. Not good if you expect to keep going. The people were all amazing, but this con will not last much longer if you do not bring in younger generations. There was not any fun. There was entertainment but the fun was seriously lacking. There were no parties. The con suite was fine, but not fun. I went to a panel (I am not going to say which one) and I learned a lot but it was not fun. Honestly, if I was at a larger con, I would have left this and one other other panel I attended and gone to something else. But, this being so small I did not think the other options were any better so I stayed. This con like many others was focused on literature. To get a younger audience, they need to bring in things that are more relative to the younger crowd. There are tons of YA authors out there and yet I did not meet a single one. There was not a single panel on Game of Thrones, Arrow, Gotham, or any other currently popular sci-fi. NOTHING!!!!! No comics, no tv, NOTHING. Not a single fan panel on what is on tv or in the movies. There have been several movies, tv series, and best selling books come out in the last year since the last con. We, as a society, are all looking for instant gratification, the younger generations especially. They need to bring in new and current subject matter. Two years ago I went to a struggling Baycon and they came up with a DIY room. I think it saved that con. When I went again this year there were DOZENS of folks under 30. Maybe MileHi should try that too. They need to do something. The social media presence is little to none. Beef it up!!! There has to be some volunteer that is a Twitter, Facebook, Pintrest, Vine, Instagram, Google Plus, Tinder, Snapchat, Cyberdust, etc guru. Seriously, they have a webpage, and a smaaaaall facebook gathering. Honestly, more relevant panels and panelists. That in itself will go far. Hell, get Nicholas Brendon, he does cons and apparently he is entertaining. All in all, I liked this con. It was entertaining, not really fun, but entertaining. I hope they can grow and are able to continue. If you are in the Denver area, I recommend going. I'm honestly not sure what my position is on the small local cons. Mile Hi Con just celebrated it's 46th anniversary which is amazing and deserves a congratulations but the youth is just not there. Yes there are young people that were brought by their parents who've been attending for 20+ years but I don't think that's enough. The credentials of Mile Hi Con's history definitely tell the story of a well respected con by both writers and fans but I'd like to see them shift gears a bit and appeal to the younger audiences. I'm just quickly looking over this year's schedule and see a very small handful of panels about current genre TV or movies. Whedonverse, Dresden Files, and Dr Who? George R R Martin was a GOH at MileHiCon 3 times since 1983 and yet there's not a single panel about the biggest genre show on TV? The most popular panel I attended this year was titled "From Out of the Past: Forgotten SF on TV and Film". There was lively discussion about old SF from the past that people have long forgotten. This was a room full of people that loved SF TV and movies from the past and yet there is no discussion anywhere at this con about SF TV or movies from the present. I think they only way to really make a difference at this fabulous con is to contribute for next year's planning. Colorado fans are amazing and this is a good con that could be much more relevant with a little effort from younger fans. Maybe we should both attend a DASFA meeting? What's the worst that could happen? They might tell us to get off their lawn?